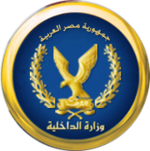 The Ministry of Interior of Egypt is a part of the Cabinet of Egypt. It is responsible for law enforcement in Egypt. On March 5, 2015 Magdy Abdel Ghaffar was appointed Minister of Interior. The Border Guard Forces are organised in 18 border guard regiments totaling approximately 25,000 members. The Border Guard Forces are a lightly armed paramilitary unit, mostly Bedouins, responsible for border surveillance, general peacekeeping, drug interdiction, and prevention of smuggling. During the late 1980s, the force was equipped with remote sensors, night-vision binoculars, communications vehicles, and high-speed motorboats. The Border guards Were originally under the control of the Ministry of Defense, however control was almost immediately given to the Ministry of Interior after their creation. ^ "Magdy Abdel Ghaffar: Egypt's New Interior Minister with a Past". Chronicle Fanack. March 23, 2015. ^ "No. 32169". The London Gazette. 21 December 1920. p. 12484. ^ Malak Badrawi (4 February 2014). Isma'il Sidqi, 1875-1950: Pragmatism and Vision in Twentieth Century Egypt. Routledge. p. 89. ISBN 978-1-136-78749-2. ^ Rana Muhammad Taha; Hend Kortam; Nouran El Behairy (11 February 2013). "The Rise and fall of Mubarak". Daily News Egypt. Retrieved 5 March 2013. ^ El Madany, Sherine; Heinrich, Mark (March 5, 2011). "Egypt appoints post-Mubarak interior minister". Reuters. ^ "Meet the ministers: A thumbnail guide". Ahram Online. December 7, 2011. ^ Ethar Shalaby, Ten new ministers take oath in Cabinet reshuffle, Daily News Egypt, January 6, 2013. Wikimedia Commons has media related to Ministry of Interior, Egypt. View the Ministry of Interior during the January 25 Revolution in the University on the Square: Documenting Egypt's 21st Century Revolution digital collection. This article about government in Egypt is a stub. You can help Wikipedia by expanding it.